He jumped so high, he jumped so high. Mr. Bojangles!! Mr. Bojangles!! Mr. Bojangles!! cause I drinks a bit"
I heard someone ask him, please? 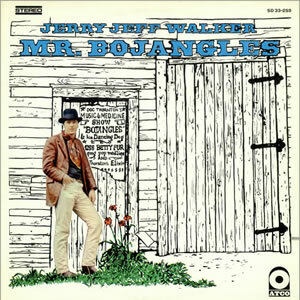 Mr. Bojangles is the title of a song originally written and recorded by American country music artist Jerry Jeff Walker for his 1968 album of the same title. Since then, it has been recorded by many other artists, including American country music band The Nitty Gritty Dirt Band, whose version (recorded for the 1970 album Uncle Charlie & His Dog Teddy) was issued as a single and rose to number nine on the Billboard Hot 100 pop chart in 1971. A live version of the song appeared on Walker's 1980 album The Best of Jerry Jeff Walker. The song is notated in two time signatures, 3/4 and 6/8.